Typically, if I’m in a time crunch one night and don’t have a lot of drawing time – or I’m feeling completely unsure of what to draw (and just want to try to capture the beauty of a pretty face), I’ll end up turning to a “stack” of inspirational photographs to possibly try to turn into a drawing. This was one that came about in that way. 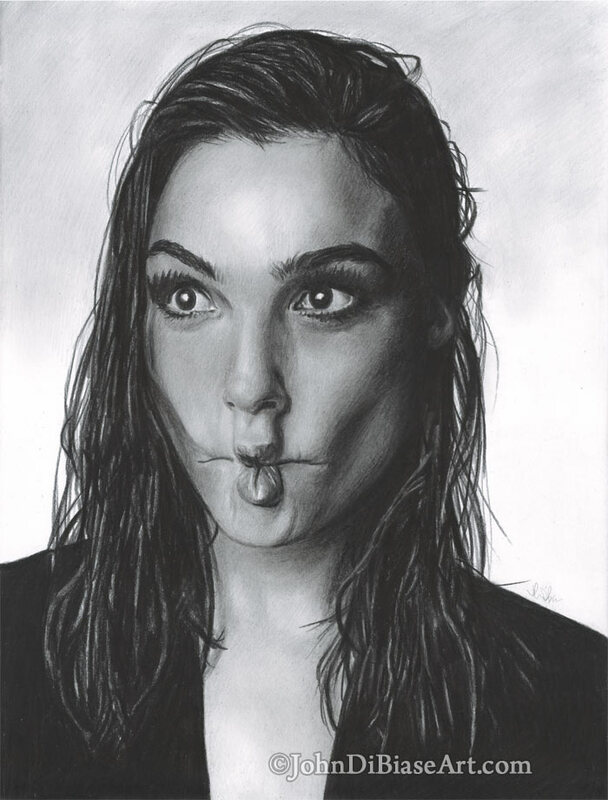 I saw this ridiculous (and adorable) photo of Gal Gadot on her instagram and pinned it to return to later. I just needed to draw it at some point. So this ended up being one I worked on off and on for a little bit between other projects. And instead of treating it as a quick sketch, I finished it off as a more appropriate portrait.